FEATURE — For many of today’s children, history might be boring and unimportant. But when kids actually experience history, their outlook on it can change. It can become exciting and real, instead of an encyclopaedic list of names, dates and events. “History is a source of strength, a constant reminder of the courage of others in times more trying and painful than our own,” renowned historian David McCullough said in a famous lecture. Once children really delve into history, it can be a source of strength and appreciation for them. To get kids excited about history, it has to be relevant to them, and showing that relevance is actually pretty easy to do. Below are a few ways to make history interesting and fun. Share family history stories and pictures. Recounting stories of children’s ancestors connects them to the past and shows them where they came from. Pictures are a testament that ancestors were real people. Sharing an artifact or memento used or treasured by an ancestor can be extremely powerful at awakening the desire to find out more. “History is filled with voices that reach out and lift the spirits, sometimes from the distance of centuries,” McCullough also said. Discovering the strength exhibited by ancestors can certainly be a strength to children. Tell them impressions of important events in history that you’ve experienced. While reading about an event from a book is interesting, hearing it from a person who experienced it is even more powerful and will help children remember it even better. For example, today’s younger children didn’t experience 9/11 but for a parent or grandparent to recount his or her experience with it, the event will hold more significance. The same holds true for almost any historical event, from Pearl Harbor to the JFK assassination to the Space Shuttle Challenger explosion. Visit museums and historic sites. Seeing history in the built environment makes it more real for students. Looking at any artifact from the past – including clothing, farm implements, kitchen appliances and utensils – will not only help children learn how things were done in the past but will also help students realize how good they have it with modern technology. For example, realizing what a chamber pot was used for can give children a greater appreciation for indoor plumbing (but it might also gross them out a little bit). Historical sites and their interpretive materials can help students visualize what happened at the location they’re visiting. Along the lines of visiting museums and historic sites, the following is a showcase locals whose business is history – museum directors and docents – and what their respective museums do to help children get excited about history. The Washington City Museum has been busy this week showing living history to 1,500-1,800 second graders from around the county, with 12 different stations exploring a variety of historical topics, including antique tractor displays, black powder weapon demonstrations, sorghum making demonstrations and pioneer artifacts showing the travails of early life in the county. Washington City Museum Director Don Young teaches children about early education during the week-long historical showcase running up to the city’s Cotton Days celebration. This week’s activities are the main thing the museum does each year directed toward children. Young said one way to make history resonate with kids is to relate it to their ancestors. “They need to know what people went through,” Young said about the importance of teaching children history. History is important to teach children because it shows how things have changed from the past and it provides context on our current situation, said Ryan Paul, Frontier Homestead State Park Museum curator. Learning history also provides an appreciation of the past and gives an opportunity to critically think about how we do things. Learning from the past leads to better decisions in the future, Paul explained. He likened learning from history to credit card debt. Many families have been destroyed by it, he said, but teaching children when they’re young about money management will help them be more responsible with it in the future. Frontier Homestead features a plethora of activities geared toward children. Every Tuesday they have a storytime at 10 a.m that includes an activity that connects to history. 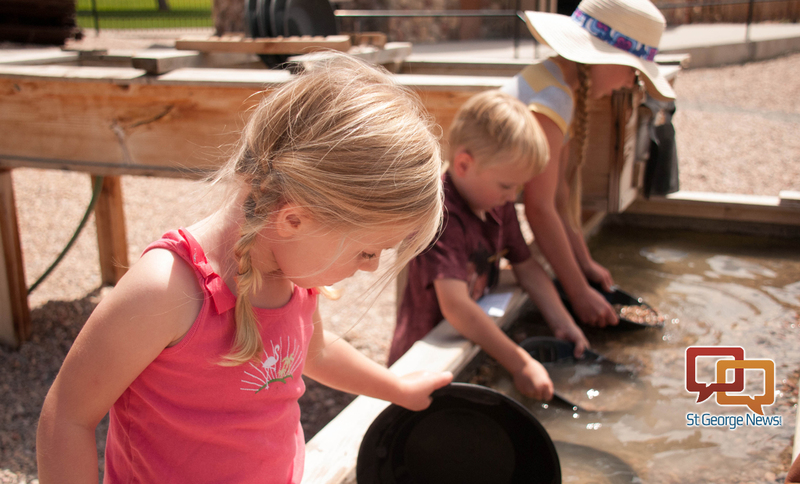 In addition, 13 self-directed activities ideal for children are on the back lot of the museum, including washing clothes in the pioneer fashion, panning for gold, roping cattle, loading a covered wagon and playing horseshoes, to name a few. These activities are effectively connecting visitors with history and have led to an increase in visitation and length of stay, Paul said. The museum also holds a variety of annual events geared toward children. In March, it held its “Sheep to Shawl” event, showing the process of turning wool into clothing. The first Saturday in May is their “Archaeology Day,” which includes Native American history, skills, crafts and games and presentations by several archaeologists. Additionally, the museum hosts a “Military Appreciation Day” in August, the “Haunted Homestead” in October, “Iron Mission Days” in early November and “Christmas at the Homestead” the first week of December. One way to get children excited about history is to compare their lives to their counterparts of a different era, said Teresa Orton, McQuarrie Memorial Museum director. Orton said she asks children to answer the question “What do you do daily?” and then shows how pioneer children might have done the same activities, as well as things they did not do that today’s youngsters do and vice-versa. By the same token, Orton said, sharing stories about pioneer children of similar age is powerful. Orton said she has found in her work at the museum that kids are especially fascinated by things having to do with school and how things were made in pioneer times. One demonstration the museum regularly does is with cotton, showing it in its rawest form, carding it and spinning it into thread. These interactive activities are regularly a hit for children coming to the museum, as well as scavenger hunts and trivia games. Children also like seeing things they know nothing about or have never seen, like a zither, a musical instrument whose name sounds like it’s straight out of a Dr. Seuss book, or a mustache cup. Orton said she asks the parents as soon as they walk in if they have any pioneer ancestors that helped settle the area and who they were. If there is an ancestor connection, Orton said she or other docents try to tailor their presentation with those ancestors in the forefront. That is what interests adults who come in the most – finding more about their ancestors. 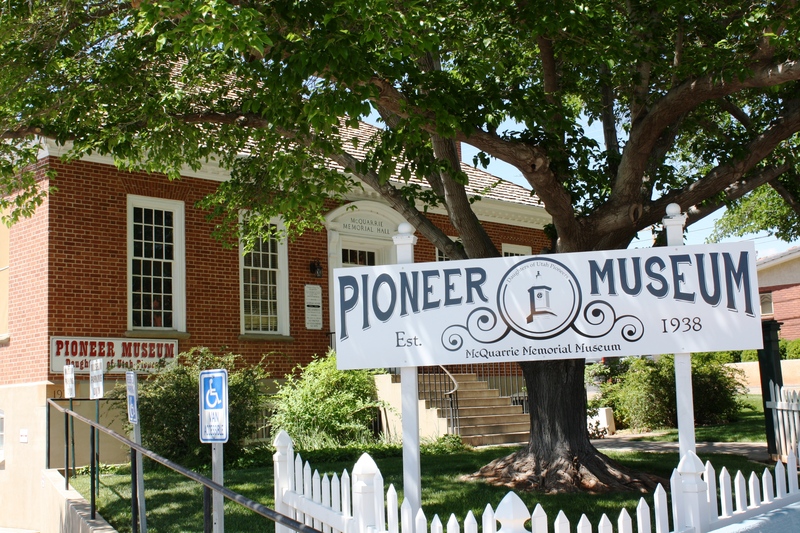 This year, the museum is focusing on pioneer jobs. In May, it’s highlighting pioneer food, answering the questions “What did the pioneers eat?” “Where did it come from?” and “How did the Indians help them?” For instance, children might not think about how hard it was to start a gardens with no fencing back in those days, Orton said. The museum’s special presentation is entitled “Brigham, Where is the Store?” and will cover pioneer food and challenges to find food and water. It will be May 20 at 10 a.m.
Savage said adults must provide children with opportunities to hear about history and experience it. In general, the Silver Reef Museum offers an “I Spy” game to its younger visitors, allowing them to “play detective” in locating artifacts, learning about the items and their history in the process. 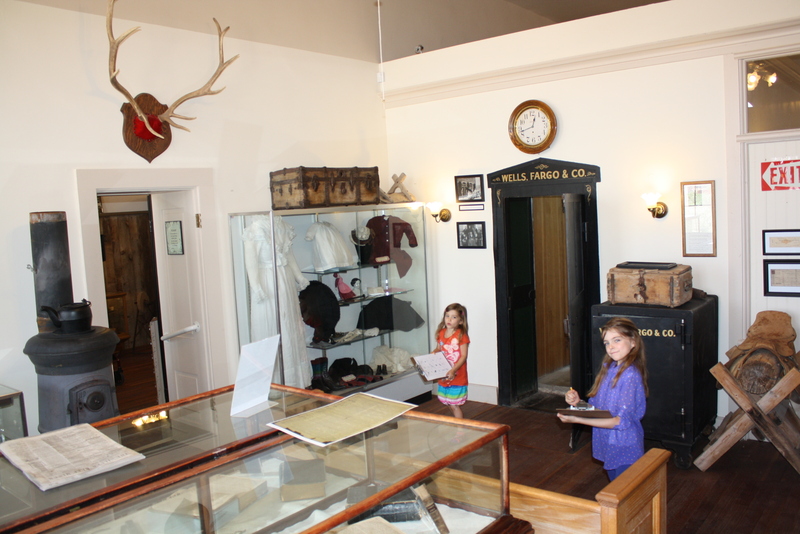 The museum also provides a school program for fourth-grade students learning Utah History, which includes hands-on learning stations and a visit to a mine shaft and cemetery. Some of the stations include a walk to some ruins to learn about preservation efforts, gravestone rubbings of replicas of actual cemetery monuments and a community-planning activity in which they elect a mayor and council and construct a well-planned community, among others. Savage said the students are so engaged in the activities there has been very few group management problems over the years. well hey, if u can get kids away from those ipads and ipods and i-whatever-else I’m all for it.